Posted April 1, 2019 by argus & filed under Sales. 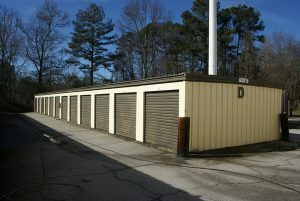 Atlanta, GA – Jane H. Sauls, Real Estate Advisor at Commercial Realty Services of West Georgia, represented the seller and assisted the buyer in the sale of Sweetwater Storage, located in Lithia Springs, GA. The 22,000 SF storage facility sold on March 6, 2019. This self-storage facility is located less than 10 miles west of I-285 and includes 6,000 SF of retail space on the front side. Jane H. Sauls of Commercial Realty Services of West Georgia located in Carrollton, is the Argus Self Storage Sales Network broker affiliate representing the state of Georgia. She can be reached at 770-328-2379. Based in Denver, Colorado, the Argus Self Storage Sales Network (ASSSN) was formed in 1994 to assist owners and investors of self-storage with their real estate needs. Through the years, Argus has assembled a network of real estate brokers experienced in self-storage and income property investments. Now the largest self-storage brokerage network in the United States, the ASSSN has 36 Broker Affiliates covering nearly 40 markets. These brokers are able to meet the needs of self storage investors and owners whether it is acting as a buyer’s agent or listing and marketing a property. For more information call 1-800-55-STORE or visit www.argus-selfstorage.com.